Jefferson calls Inspector Henderson (as Black Lightning) to remind him that he was set up for the murder of Lady Eve and that there are corrupt officers in his department that are looking the other way on important matters. Henderson says he will use some vacation days to do some private investigations into which officers are corrupt. Henderson implores him to make sure his mother and family know that he isn't corrupt if he ends up dead and framed to appear as such. Black Lightning promises to not let that happen. Anissa tells Jennifer that she isn't going crazy and reveals her own powers to her, saying that Jennifer has likely developed powers of her own. Jennifer doesn't believe what she is saying until Anissa uses her powers to lift Jennifer's entire bed off the floor. She goes on to say that their father is Black Lightning and Jennifer becomes terrified and upset that she has been lied to by her family for her whole life. Jefferson and Lynn are upset at Anissa for not consulting with them before telling Jennifer but what's done is done and they must find a way to move forward. Jefferson and Anissa decide to start their own investigation into Green Light by following leads from Alvin's research. Anissa also learns during this time that she has her own fan page with people praising her for fighting back against corruption and the patriarchy. Meanwhile, Gambi is doing his own investigation into the electrical weapons created to frame Black Lightning for Lady Eve's death. Anissa secretly visits Gambi to make up her own mind about whether to sever ties with him the way Jefferson has. Gambi admits his wrongdoings and gifts her with a new superset he designed for her to be safer when engaging in super heroism. Now she can be Thunder. He apologises for keeping secrets and says he was only trying to keep his loved ones safe. Jennifer is finally able to make peace with this revelation about herself and her family. After speaking with her mother she is better able to understand why they didn't tell her right away about the powers in her family and potentially in herself. However, she doesn't want to become a superhero herself, and is saddened by the loss of the relatively normal life she might've once had. Jefferson and Anissa's investigation leads them to the drug lab where Green Light is being manufactured. They attack the lab as Black Lightning and Thunder, with Inspector Henderson helping since his investigation into corrupt cops had also lead him to lab. Henderson is able to make a few arrests before they blow up the lab. A.S.A. agents attack with weapons designed to disable Black Lightning's powers but Thunder saves him from their attacks. When Jefferson returns home, Jennifer makes amends with him and they decide to watch a film together. Jefferson promises her that from now on, he will be honest with her. 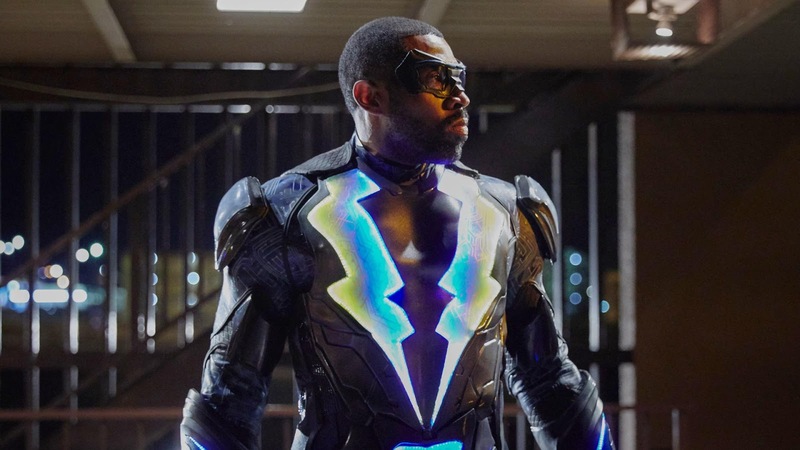 Black Lightning airs on Tuesdays on the CW at 9/8c.